Family Starts Here: MEET KRISTY! 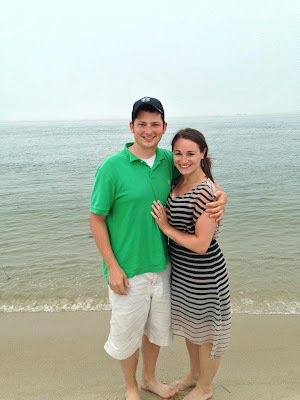 Today's guest blogger is our awesome new intern, Kristy Aquila. Kristy has been training with Melanie Schmidt, our Wendy's Wonderful Kids Recruiter, to work directly with our kids to find them permanent loving homes. My name is Kristy Aquila and I am the Wendy’s Wonderful Kids recruiter at Children Awaiting Parents. As a WWK recruiter intern I am not only responsible for finding families for children, but I also write assessments for the children that will highlight some of their traits that may have been forgotten or overlooked by all the negative things that have been reported. While meeting with the kids once a month I try and discuss with them what adoption means for them and how they feel about being adopted and entering a new home. I am not adopted myself and I do not have any adopted children of my own, but I discovered Children AwaitingParents through my graduate program. I knew I wanted to find an internship in adoption where I would be bringing families together but I did not know what would be available in Rochester. After researching adoption in the Rochester area I was blown away by the work Children Awaiting Parents has done! After meeting with Melanie and Mark it was clear that the staff was very passionate about the work they were doing and I became eager to join the team! I am in my second year of the MSW program at Roberts Wesleyan College. In graduate school I am in the Child and Family concentration. Working with children has always been a passion of mine! Before returning to graduate school, I worked at Hillside as a Youth Care Professional. I loved working with the kids and developing strong connections with them. I felt I was making a difference just by being a support to them through all their ups and downs. However, I wanted to make more of a difference in these children’s lives. This was when I decided to go back to school for Social Work. In my personal life I recently just got engaged to a wonderful man as of 1 month ago! I have no pets of my own but I often look after my parents newly adopted puppy! I am looking forward to one day loving and spoiling a young lab/husky puppy of my own!